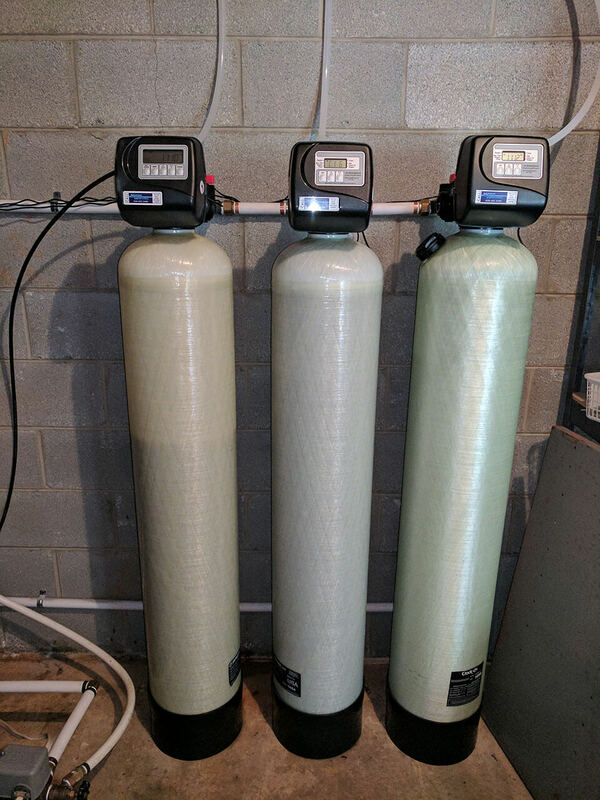 Existing customer in Weaverville had a water softener purchased years ago. Recently they were having a constant problem with iron staining and also as we found out after our free testing a low pH balance. So they decided to go for the complete water filtration upgrade. A water softener to remove minerals in the water. An iron filter to remove the staining and decolorization, also a neutralizer to help bring back a healthy pH balance. They are now enjoying a very well balanced, clear and clean water for their home. And also this filtration system protects all of the appliances and plumbing systems too.